A day care without children’s books would be pretty silly, right? 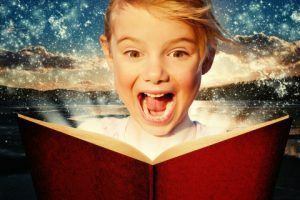 Reading offers children an opportunity to explore other worlds, learn about other kid’s feelings and how they react to things differently, and cultivate their imagination. Can you imagine growing up without books? Neither can we. At Foundations for learning, we are dedicated to providing your children with an education that is broad and deep using learning tools that succeed. 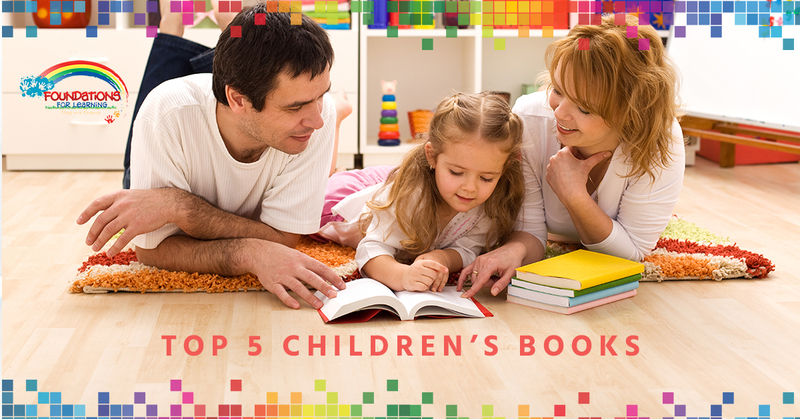 There are hundreds of books that could make up a list of all-time favorite books for kids, but we’ve narrowed it down to five, so when your child comes to our day care center, you can be confident that they are receiving the care, attention, and education that goes beyond math and science skills. By C.S. Lewis is the adventurous tale that every child should know, and not just the movies. Known for the magical land of Narnia, four brothers and sisters travel through a wardrobe into another world. They encounter danger and excitement and must save the kingdom from the evil witch. Children will learn judgment, faith, and responsibility. Read About Our Day Care Activities! This book by E. B. White is a classic and will always be a favorite of many readers. This book is an excellent example of showing kids that having an active imagination is a wonderful thing. Bringing life to farm animals, a spider, Charlotte befriends Wilbur the pig, who is trying to avoid a trip the slaughterhouse. This book is about true friendship and never giving up the fight. Antoine de Saint-Exupéry relates the story of a young prince who has fallen to Earth from an asteroid and encounters the narrator as a young boy. With beautiful illustrations and poetic language, this story teaches children about relationships and having an open mind. This story by Roald Dahl is another example of bringing life to animals and the relationship that young children have with them when they need them. After moving in with his terrible aunts, James climbs a giant peach tree and finds a grasshopper, a ladybug, a spider, and a centipede. These insects soon become James’ best friends. Children who fall in love with this book will learn the power of true friendship. By Frances Hodgson Burnett is the story of Mary, a sickly and unsightly girl who is sent to live with her uncle. Upon learning about a secret garden on the estate, she sets out to clean it up and meets Colin, who is bedridden and the two become friends. Children will learn how to work together, how to help others, and how to appreciate life. At our family day care center, we want to give your children the opportunity to learn and develop through reading so that they can learn to appreciate the world around them. Appreciation isn’t the only thing that children learn through reading. Reading improves concentration. By sitting, reading, and concentrating on the story, they are learning how to focus on what is in front of them. As they continue to read for longer periods of time, it will become easier and more enjoyable. By reading a variety of books by different authors, they will gain a higher level of understanding and highly developed language skills. Reading not only teaches children about the world around them but how the English language works within the sentence structure. Even though they may not understand the grammar, they will learn how words are put together. Reading about other people’s lives and stories, their imagination will develop. Books without pictures allow children to “see” what is going on and imagine a new world that the characters are exploring. Through descriptive books like the ones above, your child can imagine new places, new people, and new things. Children may not realize it, but they are learning empathy. Reading the story of The Little Prince, who is lost in a strange world, readers will identify with the character and be able to understand what they are going through. This will not only help them communicate their own feelings but be understanding towards others. 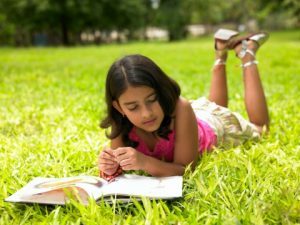 Some children may think that reading is boring, but with the right story and the right characters, reading can be relaxing and calming. With books, there is nothing to focus on except the print in front of them, so it gives children an opportunity to be quiet and learn how to enjoy silence, rather than seeking to be entertained by computers or movies. Reading is a form of entertainment! With a strong imagination and powerful writing, children will learn to love finding new stories, characters, drama, and excitement in the form of books. There are endless entertaining possibilities. You can find bookcases of great books at any day care center, but what makes Foundation of Learning different is that we strive to find connections between the characters in our books to our everyday lives. Your children will be excited to come in every morning and learn what they favorite characters are up to. Schedule your walk through with us today!